The CEO of Apple, Tim Cook, has made ​​several statements of interest today during a conference organized by Goldman Sachs Group. How could it be otherwise, Cook has faced questions about Apple today. The company is now in the spotlight for the drop in the share price and the constant criticism he receives for "stay put" and "have remained stagnant." 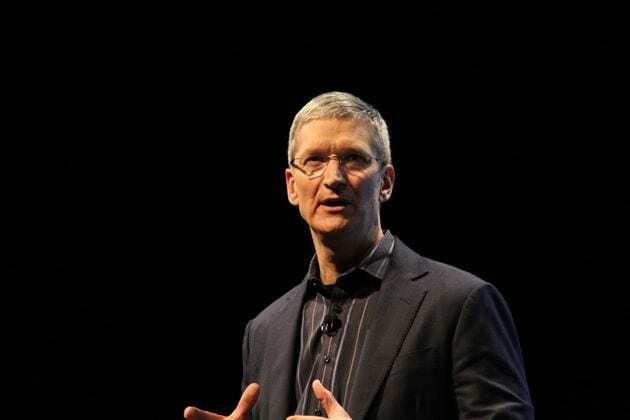 Tim Cook has said that Apple focuses on futur decisions or to "the health of the company" and, although they also look very closely at the results each quarter, long-term strategies have higher priority. "We have no idea what our market share because we are the only company that reports its sales." Speaking clearly attacking competitors like Amazon, who months ago dared to say that the Kindle already "had a significant market share" without disclosing sales reported by the tablet. The same goes for Microsoft and its urface. Meanwhile, Apple reported quarterly sales tax it collects from each of its devices: iPhones, iPads, iPods, Macs and Apple TV separately. "If we look at the results of the last three years, we have been acquiring virtually a new company every two months. [...] In the case of large acquisitions, we have recently looked larger companies. In most cases, those not passed our tests for several reasons. We'll try again, I'm convinced. [...] We do not feel pressure to generate profits ... we want to make great products. " Finally, Cook has attributed the success of the sales of some of its products to stores around the world, which have become "entertainment centers and meeting places." Cook has refused to give details about a possible iPhone with larger screen. The article talks about Tim Cook Apple's present in the Goldman Sachs Technology Conference was originally published in News iPhone .